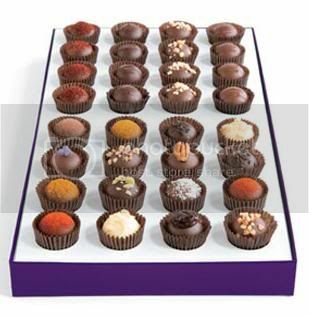 Gigi-Reviews: Great Vosges Chocolate Sale Thru Dec 31! And I've got a nice surprise for you: My friends at Vosges Haut Chocolat -- makers of some of the finest high-end chocolates you'll find anywhere -- want to make your holiday shopping that much easier by offering my readers 10% off of orders placed between December 1st and December 31st, 2009. Woohoo! How cool is that!